Connect your Sigfox GPS asset tracking device to Ubidots cloud and deploy your IoT asset tracking applications in no time. Sigfox wide-area, low power devices and Ubidots are a simple to integrate IoT solution from device to application. Track cars, buses, containers, trashcan, or even your golf-bag. Keep track of cattle or take your Sigfox device togo and explore the great outdoors. In this tutorial we will be using UbiFunctions, a feature tool of Ubidots IoT application development platform. This guide is does address the set up of the Suntech ST730 nor its possible configurations; instead, we will be showing a few good set-up practices for building a highly accurate GPS application. 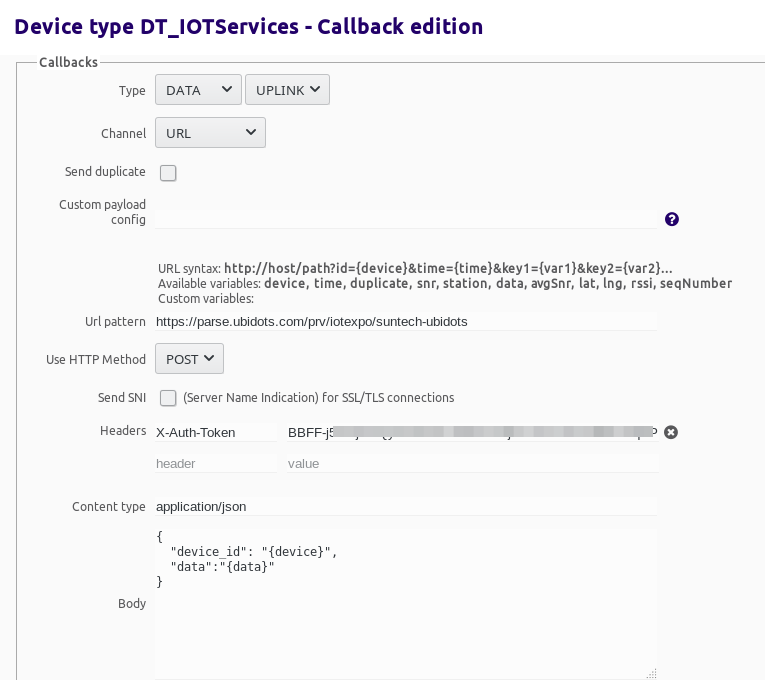 Note: Ubidots is committed to helping you connect your ST730 to our IoT and cloud application platform the easiest way possible. With more guides arriving all the time, see UbiFunctions for more data analytics functions to pair or enhance your applications. Note: a Function is a Node.js cloud function executed when a HTTP GET or HTTP POST request is made in the Function's URL as illustrated below. 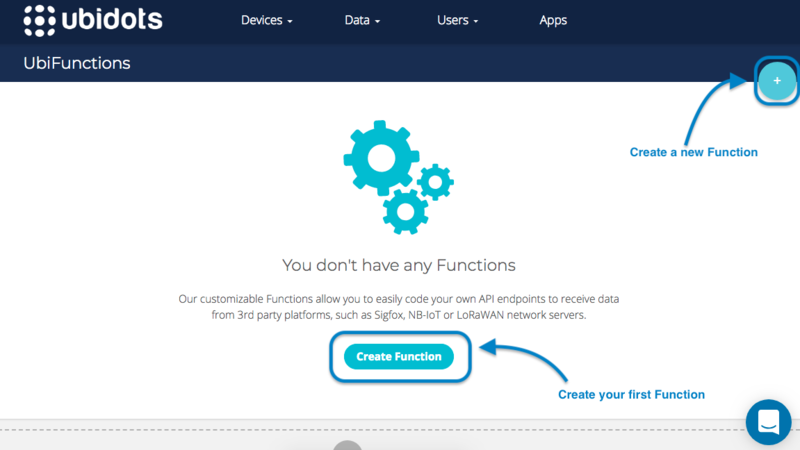 For creating a Function go to your Ubidots account –> Data –> Functions. 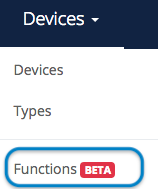 NOTE: If you cannot see the Functions module in your account's menu, you will need to enable the add-on for $29/month in the billing section of your account. 3. Assign a name to the Function e.g. "suntech-ubidots", to identify it in the Sigfox backend later. Ubidots is an Internet of Things (IoT) Application Development Platform that empowers system integrators and innovators to launch control, monitoring, and automation applications that turn sensor data into actionable insights. Hiring an engineering team to merge the physical world with a digital world and create an IoT application that both functions and looks great is costly in both time and money, so we did it for you. Ubidots exists as an efficient and economical resource to develop private cloud-based IoT applications and integrate data-driven solutions into enterprises and research.